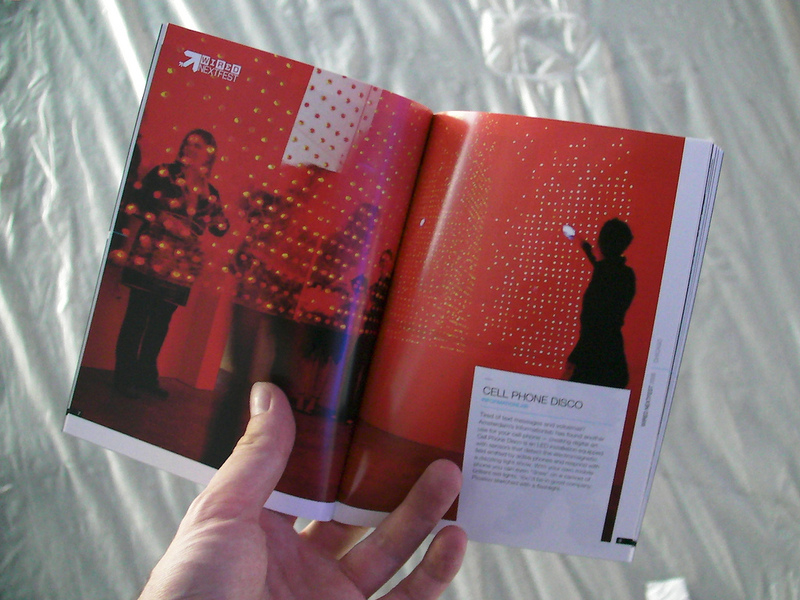 We’re exited that we’ve been invited for the second time by Wired Nextfest with our Cell Phone Disco installation! So I’f you’ve missed us in Los Angeles – come to Chicago! WIRED NextFest is the premier showcase of the global innovations transforming our world. Now in its fifth year, WIRED’s gallery of the future includes unique and bold exhibits of sustainable design, next generation healthcare, interactive art and games, humanoid robotics and more. Millennium Park draws hipsters, office workers and tourists to its modern idyll between Lake Michigan and the city’s fabled skyscrapers. Built atop a 2,000-vehicle-capacity parking garage that sits on top of a working railroad yard, the park itself is a technological marvel. Wired NextFest’s outdoor tent is nestled between the park’s popular interactive public art pieces and the Frank Gehry-designed swoop of an amphitheater. 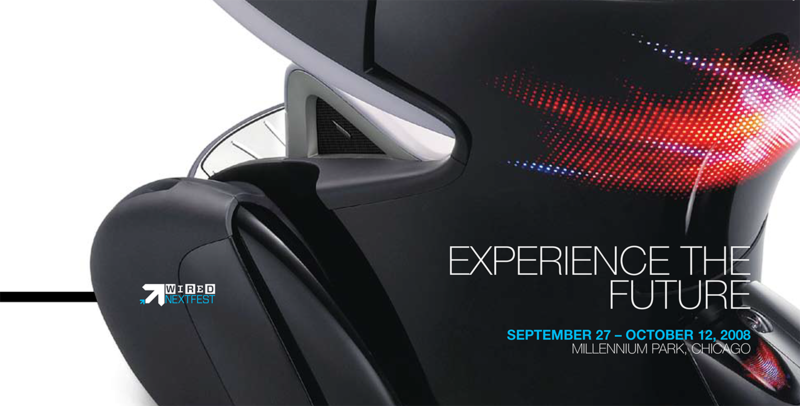 Attendees of WIRED NextFest will have the chance to see exhibits such as: Cell Phone Disco, Toyota’s i-REAL personal mobility concept vehicle, EA Sport Hoops Kiosk, Xerox Erasable Paper, Humancar, EveryBlock, and many more.